One thing I’m always telling people when they come to Bali is to make sure you see the many different and beautiful sides Bali has to offer. 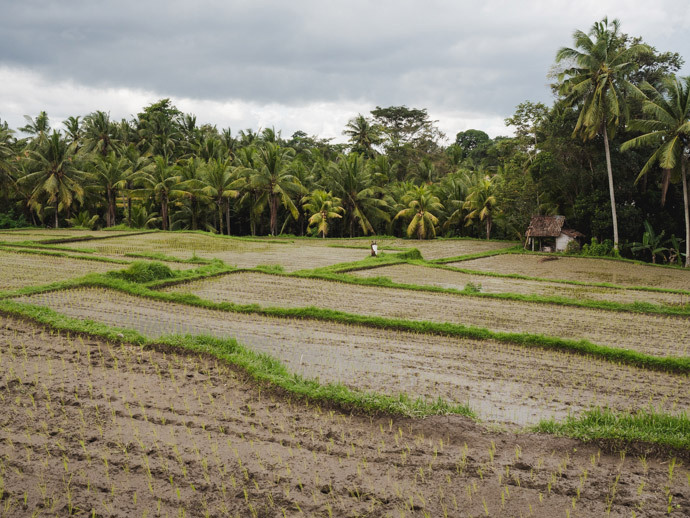 Some of the best parts of Bali are in the ‘in-between’, places you can’t walk to from where you’re staying. 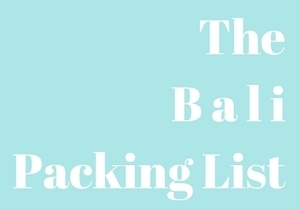 Places that you just wouldn’t know how to get to without the help of a local. That’s why pretty much every time we come, we get ourselves a Bali private driver. 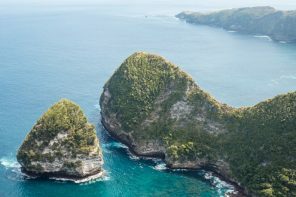 If you’ve seen a couple of waterfalls in Bali, then you probably know some of the most popular can require hours of driving. 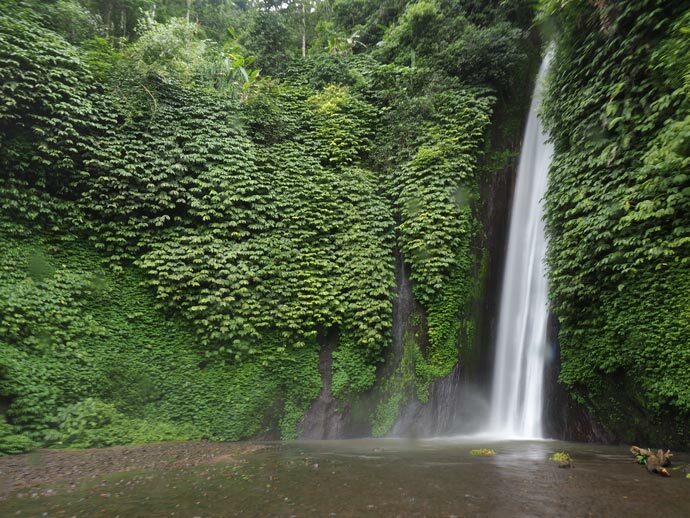 Well, if you’re staying in Ubud, then Tegenungan waterfall is definitely our pick, as it’s only 30 minutes drive away. Not only is it beautiful but you can swim in it too. Sure its full of tourists, but they’re there for a reason. Don’t rush here, relax and have a swim. 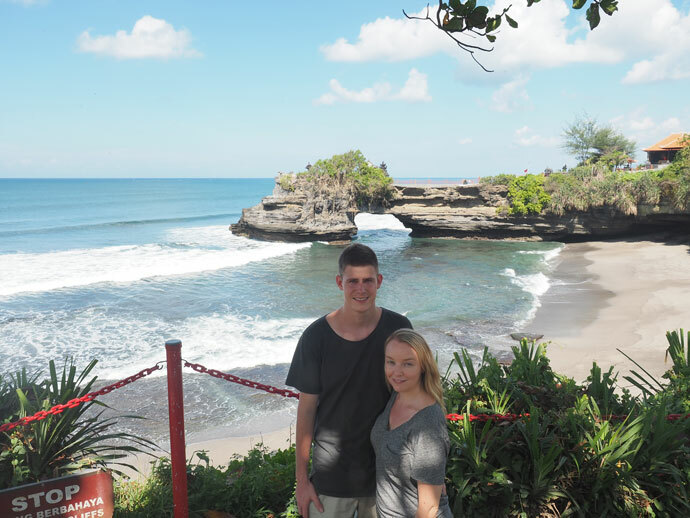 Tanah Lot is one of Bali’s most well known temples. Sunset is a busy time for Tanah Lot, as we didn’t want to fight with the crowds, we came here as part of a full day with our Bali private driver, choosing to come in the morning instead. Still plenty of people, but there was room to move and explore. Amazing temple, you can even get a blessing with the holy water. The air seems cooler and fresher here, and you seem worlds away from the hot coast. Discover the lake and the temple that can appear like it’s floating. There are also some gardens to explore. 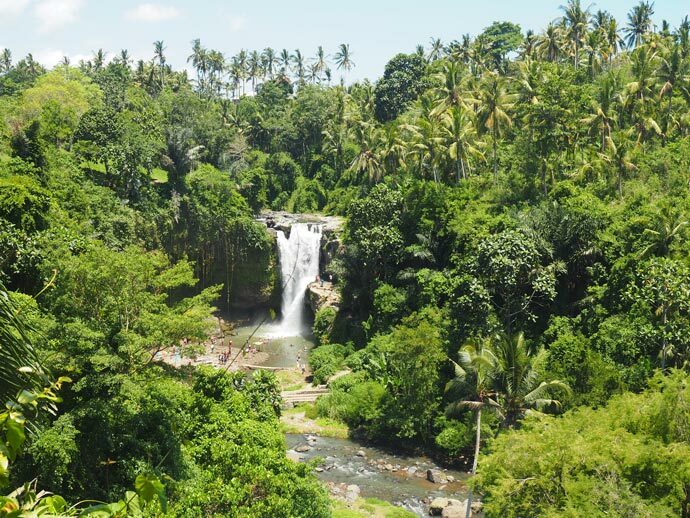 Munduk is a stunning green area of Bali, with natural beauty everywhere you look, so it makes for a nice drive. Stop off at some of it’s waterfalls and if you’re lucky you might even have them all to yourself for a moment. 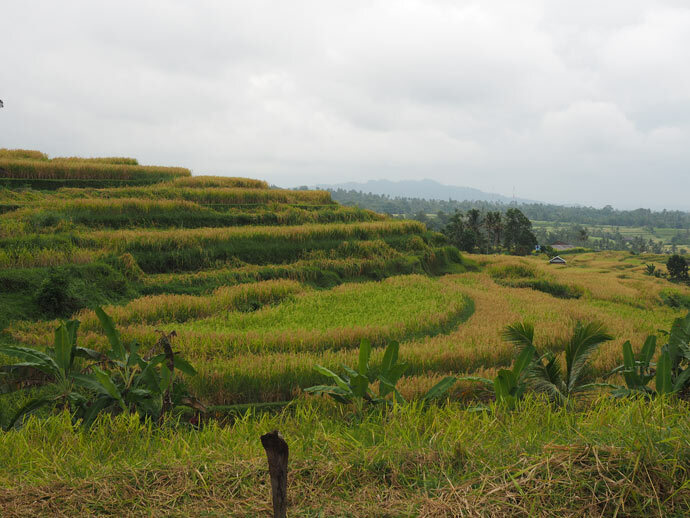 A UNESCO world heritage site, the wide spread Jatiluwih rice terraces are beautiful and fun to explore. 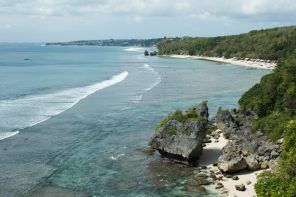 A pretty popular destination in Bali, not short of restaurants or tourists. 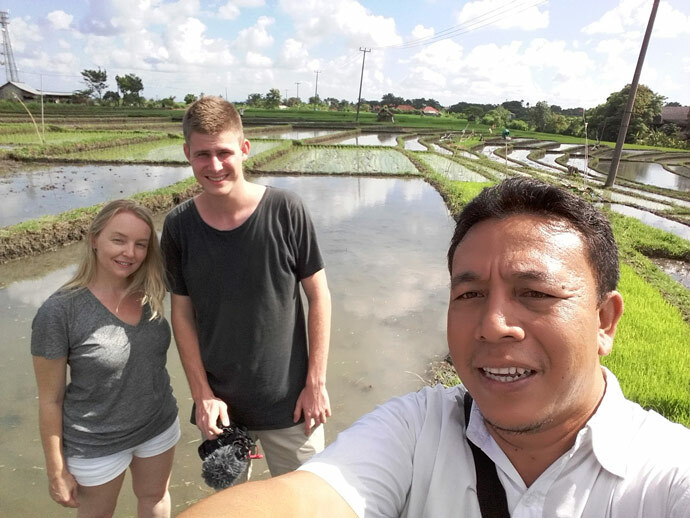 So make sure you ask your driver to take you through some areas of rice fields besides here to experience a more authentic feeling. You can hire a Bali private driver for a half day, day or multiple days if you wish. It depends where you want to go and what you want to see. We usually do a half or a full day. 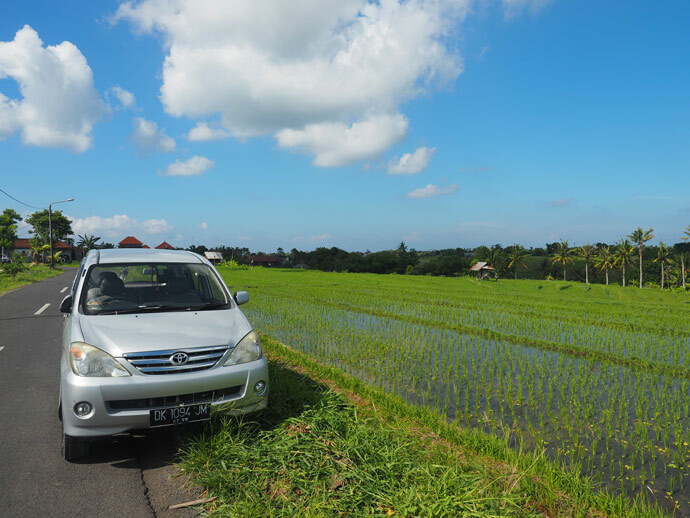 There are many private driver services in Bali, but the past two times we have used Bali Made, as they’ve been fun, reliable and knowledgeable. Don’t try and overload your day. We have made this mistake before and literally drove all over Bali (and Bali is bigger than you think). At the end of the day we were tired and didn’t make the most of what we saw. 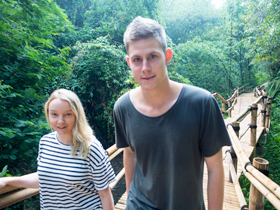 Now we pick 2 – 3 things we want to do/see or have a general idea and just ask our driver. 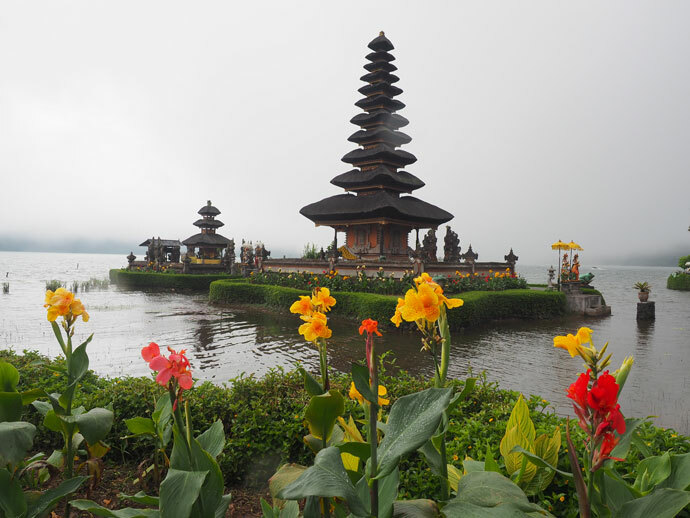 On our last two trips we have chosen to use Bali Made Private Drivers. You can email them directly on their website to book your driver. 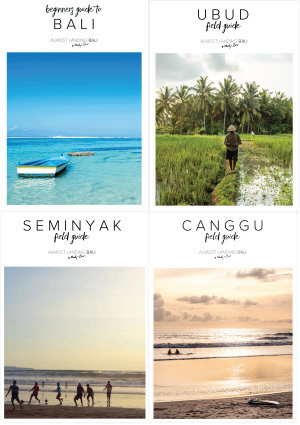 Prices start from 500,000 IDR for a half day trip (up to 5hrs) starting & finishing in main tourist areas. Prices are per car. What’s Your Favourite Side Of Bali? 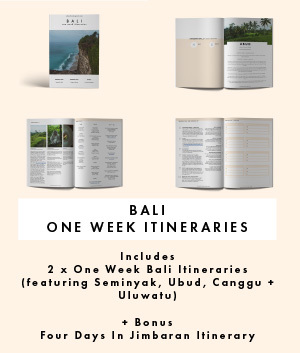 Our recent day trip was courtesy of Bali Made (after already having a great previous experience), but our experience and what we share with you are 100% Mandy & Chris.